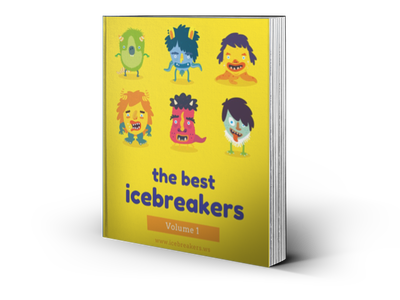 Catch the Ball Introductions Icebreaker - Icebreakers, Icebreaker Ideas, Games, Activities! Give the first person the soft foam ball. Introduce the game and explain that the ball is the “share an interesting fact” ball. The first person must reveal something interesting about themselves (hopefully not too controversial!) and then throw the ball to the second person. The second person also reveals something about themselves and throws it on to the next person. In this way, the icebreaker is an effective way to get people to start talking and sharing about themselves. There are several possible variations. Instead of sharing interesting facts, you can have players share stories, questions, memories, embarrassing moments, or something related to a theme. For example, if you are a teacher who is teaching a unit on American history, you can announce that the game is about sharing facts about a history lesson. Each person who receives the ball must say a fact about the topic that you have established. Another way to play is to use a marker and write a number of good questions on the ball that players can choose from. For example, you can write the questions at icebreaker questions.